Subscribe to the newsletter and get Edwardian-themed news delivered straight to your inbox! There have been many times where I contemplated ending my maintenance of Edwardian Promenade, and a few times where I made moves to do so; however, I am extremely astonished and pleased to have met this milestone: a decade of blogging on Edwardian, Gilded Age, Belle Epoque, (anything between the 1880s and 1920s) history! I’ve witnessed the innocuous beginnings of the worldwide phenomenon Downton Abbey, have been asked to join some fantastic projects in conjunction with EP, met a ton of amazing people, from fellow bloggers to authors to academics to editors and agents to genuine TV and film people–and all through the passion of sharing history with you all. It is Edwardian Promenade that encouraged me to not only finish the last bit of my education but continue on to get a Ph.D. It is the community built around Edwardian Promenade that motivated me even when I doubted the worthiness of my dedication to this site. It is the amazing feedback from a diverse set of readers that enthused my search for interesting things to share. I want to thank the people who’ve come aboard over the years to add their unique perspectives to Edwardian Promenade: Rachel Pritchard, Diana Sousa, Melody B, Tasha Heidenkind, Jennifer Hallock, and Lydia San Andres! 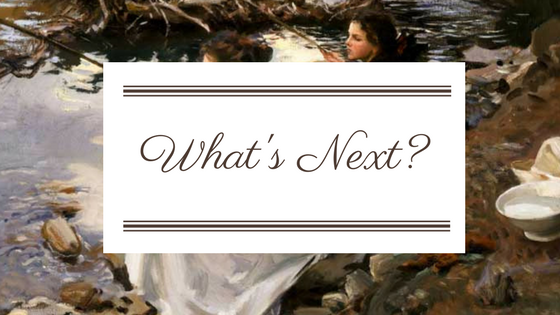 It’s a little daunting to think about the next decade of Edwardian Promenade, but I hope you want to come along too! Which is why I’ve launched a Patreon for my superfans and superfriends. What is Patreon, you ask? It’s a handy website that allows you to support your favorite creators (in this case, moi). I am building Edwardian Promenade 2.0–a greatly enhanced version of the site that includes more digital and video media, more history, and just more of everything I already offer, except on a more consistent and exciting basis. I also want to give back to the community by helping high school and college students be #historycreatives™ through formal internships where they will learn how to research, write and edit engaging history posts, film or record and edit videos and podcasts, how to conduct interviews, put them in contact with mentors in public history, and more! In return for your support, I plan a tier of goodies, ranging from monthly downloadables to a quarterly subscription box full of history-based swag and treats. Click on the image below for more information. If you're new here, you may want to subscribe to my RSS feed, sign up for my newsletter, or like EP on Facebook. Love what you're reading? Has it helped your school project or book? Consider making a small donation to keep Edwardian Promenade online and a free resource in the years to come! 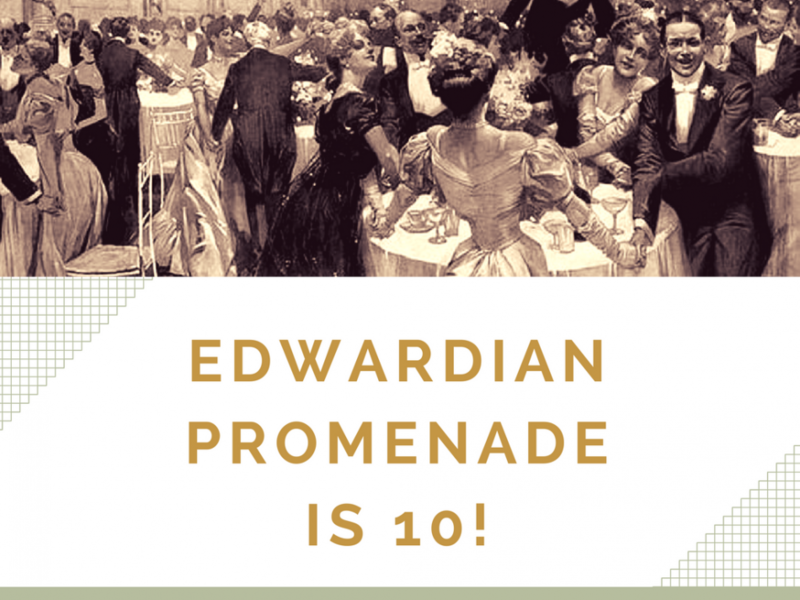 Posted in EP | Comments Off on Edwardian Promenade is 10! War stole everything from Morven Williams–her husband, her friends, her livelihood, and her home. As Paris erupts in Armistice celebrations, she stands on the precipice of her past and her future, and the arrival of a handsome, charming Harlem Hellfighter stirs her spirit. But they share an unexpected link to her past, and one that may tear their burgeoning romance apart forever. Fall of Poppies: An anthology featuring novellas by nine authors and centers on WWI’s Armistice Day as soldiers come home at last, and survivors pick up the pieces in search of hope, remembrance, and love. © Plum Bun Media 2007-2019. Powered by WordPress. All content belongs to EP and its writers, unless otherwise noted.